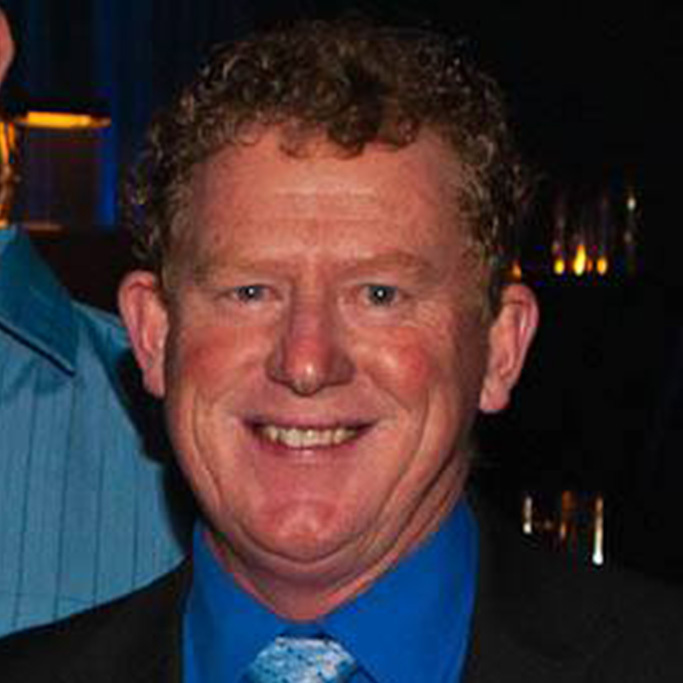 Glyn Yates, director and former chairman of the Collie and District Community Bank in Western Australia, also serves as an internal consultant to Bendigo, supporting the Community Bank Branch model nationwide. The Collie and District Branch was established in 2001 and to date has invested more than $3.4 million in grant funding into its community. Glyn gives his perspective here about the Bendigo Community Bank Branch model’s strengths and challenges. He also talks about the critical role he sees the model beginning to play in circulating community knowledge, building holistic wealth, and in sparking conversations that support the transition to a regenerative economy. I am a really strong advocate for the Community Bank Branch model. It has been exceptionally good for our community. Ten years ago the community invested $423,000 in the bank and we turned an $850,000 profit this year. So we got to give back around $700,000 to the community. We have paid about $600,000 in dividends to shareholders over the 13 years, and all of that was paid in the last six years. We are at the top end of profitability among Community Bank Branches. If someone had told us 15 years ago that we would have a community bank that is the biggest bank in town and can contribute nearly $1 million back to the community a year we would have been blown away. But that is where we are now. It is a great example that people can aspire to. At the same time it raises expectations in other communities in ways that are not always helpful. One of the things I have noticed that has changed over the years is community expectation. In the early days of the model, Bendigo was returning bank services to communities that were abandoned and unbanked. It was about rebuilding communities. In Collie’s case we already had four banks in our community, but due to regional consolidations, if you wanted a business loan you had to drive 60 kilometers because the local bank branches had withdrawn their senior people. So the impetus for the creation of the Bendigo Branch model in our case was to establish a community bank that would return a senior manager who could make those kinds of lending decisions to Collie. No one in Collie expected to make truckloads of money. But over time we returned all our shareholder capital in dividends and we were continuing to pay out dividends and were giving away a lot of grant money. So that is now the expectation for many new branches. There is a greater expectation now, even when most of the community banks are now opening in completely competitive environments. They are expecting to become profitable and to be able to invest in social enterprise through grant making in too short a timeframe, and often those expectations are overly optimistic and unrealistic. I am now a bit reticent when I am invited to launch new bank branch programs because the expectations get raised when they hear about our experience in Collie. Managing sometimes unrealistic expectations is one of the challenges the network now faces. Bendigo has now opened over 300 community companies across Australia. They exist in different economic circumstances and have experienced different degrees of success. A lot depends on the local directors. Traditionally and quite consistently they are well-respected people in their community but if they don’t have business acumen, they can’t always deliver a desired outcome. At any one time Bendigo might have twenty branches it is keeping a close eye on. The bank then gets more actively involved in trying to provide resources, assistance, and training, and sometimes financial support, to get those branches across the line. It would be easy for Bendigo to walk away from one or two of these branches but they always work hard to help them succeed. There have been situations where perhaps Bendigo should have said no to opening a bank in the first place or to certain decisions that a board made often just out of naïveté or lack of experience. But Bendigo did not feel it should intervene in a local decision. People often ask me “what’s different about Bendigo Branch Bank model?” I say, it’s that the bank has local ownership (strict local shareholder provisions), local decision making (a board made up of local people), and local investments (again a board and other community leaders that decide where the profits will be spent). This is a key philosophical reason why, after offering lots of advice and support from Bendigo, the decision-making ultimately resides with the local branch. That said, I have never gone into a community where I was asked to help and said this community and the banking business it can generate is too small to support a bank. So that provides some level of confidence that Bendigo has a model that works even when in some cases a particular branch may need additional support. Sometimes it takes longer but they continue to find ways to grow and become profitable so that they can begin to support social enterprises through grant making. And that is pretty exciting. Of course in a changing world the banking services we provided 30 years ago aren’t appropriate for today nor will the services of today be appropriate in 30 years time. We need to meet the changing, ongoing needs of our customers. What is particularly interesting about Collie is that ours is a coal mining and power generation community, and so our region’s economy is driven by fossil fuels for energy. In another one of my roles I sit on the local government as council president. I find it very challenging when I see that we have a finite resource that we depend on so heavily and we may either dig it all up soon or be forced to stop digging it up. At the same time, we have no structural plans and only limited discussions as a community for our economic future. I try to have those conversations about the challenge that faces us in our community. What are we going to do next? 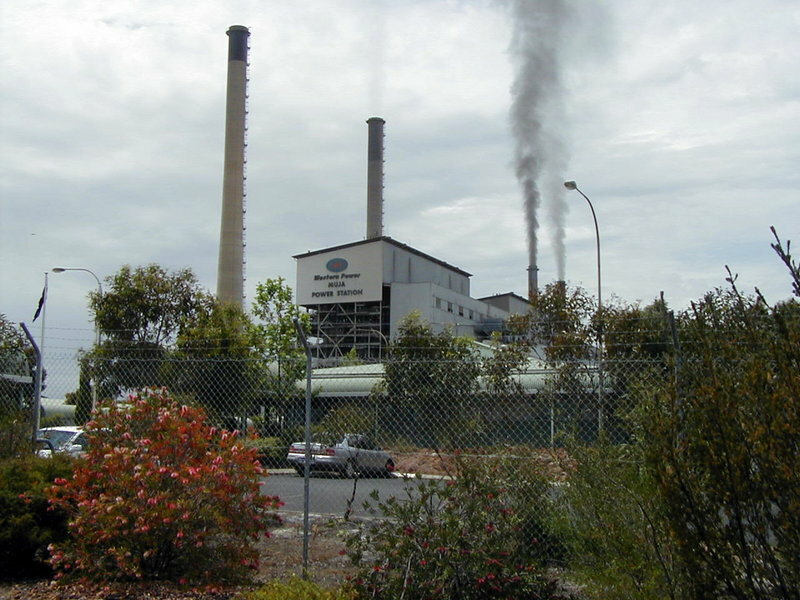 Glyn Yates believes Collie's power stations and transmission lines could be repurposed as the local economy transitions from fossil fuels to cleaner forms of energy, and that perhaps Bendigo might help facilitate community conversations on such critical topics. I think we need to start making structural changes to our communities to allow us to transition to a more sustainable future in terms of energy. I think our local Community Bank as a leadership group could play a more active role in encouraging and engaging in conversations about what the transition should be. There are communities across the country where the underlying economy and therefore community sustainability is at risk. There will be job loss and all sorts of dislocations. Everyone in Collie thinks our primary asset is coal, but I say it is power stations and transmission lines. They are worth $20 billion, while the two coals mining companies have changed hands for only $1 billion in total. So the real asset is the physical assets and we just need to find a new fuel source for that. So why don’t we just build a big solar array to create energy and use the power stations and transmission lines to take it to the city forever? It is about creating the opportunities for those kinds of conversations. In recent years I helped facilitate some of the green groups coming to town because I feel we should support a process that listens to all the perspectives and allows us as a community to form a view based on balance for a sustainable future for everyone. Funnily enough in our community the issue has come to a head not so much because we have an environmental perspective but an economic and timeframe one. The new owners of one of the coal mines is an Indian firm. They want to dig out the coal at five times the rate that it had been dug. So while we had thought it would last another 150 years it might only last 30 years. We stand on very low moral ground when we say they can’t export it to their economies to improve their standards of living. It is certainly a conundrum and we need to find some balance. From the perspective of my own social conscience it is the haves that need to lead the have-nots, and say we are prepared to make sacrifices. The local community banks that play a leadership role in the community could play a role in elevating those kind of conversations, and I think the community bank network would welcome Bendigo’s helping to facilitate them. If you don’t want to take the conversation to a global scale, we can talk about it in terms of impacts on our communities. Even if we are not all radical environmentalist, almost without exception we are absolutely passionate about our community, although some have not made the link to sustainability yet. The community bank board is so diverse, we are ten people who sit down and discuss things, and collectively make decisions about where the greatest benefit will be had to the community when we administer our grants. One of the things I love about community bank boards, there will be people I have nothing in common with and who are not members of my professional or social network, but we have to figure out how we can accommodate all, not the solution that suits me or the most vocal board member, but how we met everyone’s needs? This ensures I have empathy and an understanding from other peoples’ perspective. We invite people to come in and ask for money but they have to show us that their proposal is sustainable. We ask ourselves, what is the most pressing need for the whole community? Sometimes we just invest in projects (generally small amounts here) so people (usually young people) can just have a go. We empower, engage, and trust them. Isn’t it better to have tried, failed, and learnt than never to have tried at all? We have purchased ambulances and funded a coronary care unit at the regional hospital, and we just put A$500,000 to help build a new art gallery in town. We have provided funds to sporting organizations. We have invested money in indigenous groups and in the local chambers of commerce to start a business incubator. We are getting to the point in our evolution in community banking where we are thinking about social capital rather than just built capital. We realize that we need to not only build stuff but also start building people. At Collie we are now doing more things like funding chaplaincy services and mentoring services and providing scholarships for kids to go to university, and classes in good parenting skills. I say to people, we can build a football stadium but that doesn’t make it a club, the people in it make a club. What skills do we need to give people, what ethical and educational skills, and how can we do that? How do we fund the arts and spiritual stuff trying to build the people rather than the building? One way is to get them involved in our bank board so they take organizational skills and a holistic philosophical perspective back to their own organizations. Involvement also allows them to expand their professional and social networks. We also have an opportunity to influence regional planning. There is a blueprint for our region 2015 to 2050 and we have elevated the conversation to discuss what the future of Collie will be beyond coal, like saying if the federal government wants to develop future energy sources, should we be doing geothermal and solar in our own region? While these conversations are going on formally now only at the level of the local council, five of the councilors also sit on the Community Bank Branch board. I guess I would say that it is my belief that each community in the community bank network has a different challenge but those challenges can be catalysts for transition to a more sustainable, resilient community, socially or environmentally and financially.